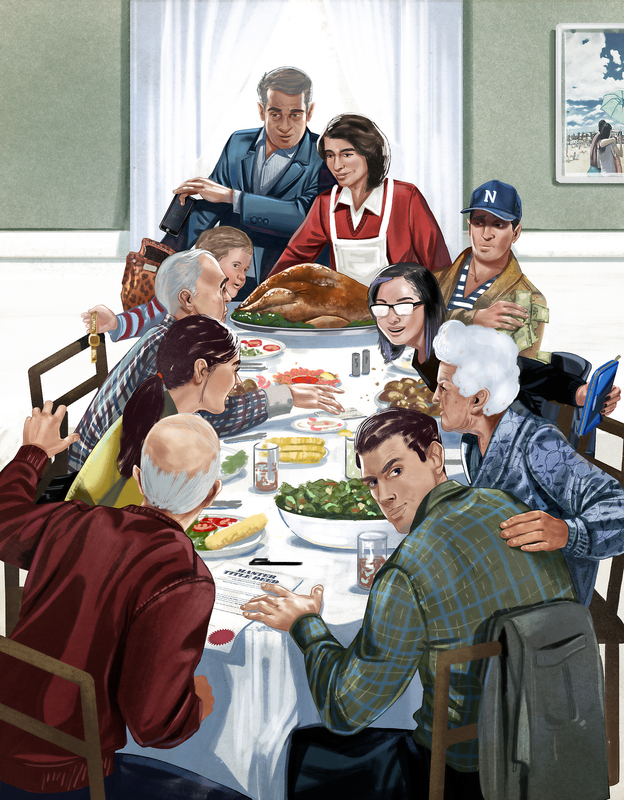 Opening artwork for an AARP The Magazine feature package called "Fraud in the Family—Who is the most likely to steal from you? The people you know best." Illustration by Jonathan Bartlett.